Jude Farraday has always put her children’s needs above her own, and it shows—her twins, Mia and Zach—are bright and happy teenagers. When Lexi Baill moves into their small, close knit community, no one is more welcoming than Jude. Lexi, a former foster child, quickly becomes Mia’s best friend. Then Zach falls in love with Lexi and the three become inseparable. On a hot summer’s night one decision will change the course of their lives. In the blink of an eye, the Farraday family will be torn apart and Lexi will lose everything. In the years that follow, each must face the consequences and find a way to forget…or the courage to forgive. 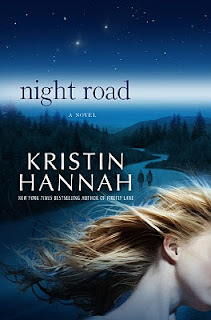 This is Kristin Hannah at her very best, telling an unforgettable story about the longing for family, the resilience of the human heart, and the courage it takes to forgive the people we love.